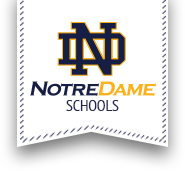 Notre Dame is adding a twist to a favorite basketball tradition. In an event created to draw excitement and hype for the upcoming season, players, alumni, and fans will gather on Friday night to watch both the boys and girls teams scrimmage. Free admission. Fan giveaways. Skills competitions. Three-Point Contest. Scrimmages. Stay tuned, as more is to be announced!